Email marketing offers a great way to supplement all marketing efforts and improve your customer or client relationships. If you have a list of emails sitting around that you don’t know what to do with, we can help. ModernMarca will create the optimized, on-brand content that is 100% authentically you, design the template, and deploy the campaign… just be ready to pick up the phone or handle the leads coming in! With email marketing, you can easily target your audience and have more control over who sees your content. It has never been easier to segment your contact list based on their lead status, demographics, location and other important data points. The benefits of this targeted approach are many. 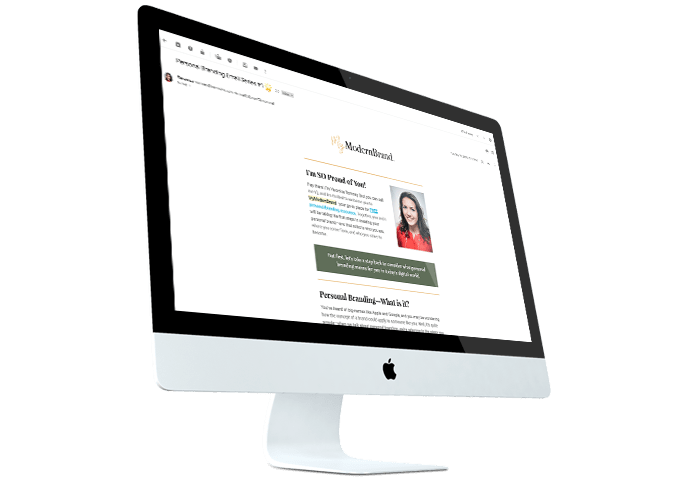 By customizing your email list, you will be able to send content to your customers or clients that they really want to see in their email, leading to higher conversion rates over time. ModernMarca can take this process off your hands. We will develop strategic content, smartly designed templates and carefully segment your email list, so your business can consistently grow its loyal following. Our advertising specialists will do the heavy lifting for you so you can grow your modern success story, one email at a time.